The maintenance of your elevator is of critical importance. Not only do you have to protect the safety of your employees, tenants and customers, you have to ensure smooth operation for the convenience of all. Without assurances of proper safety and functionality, you don’t have peace of mind, and the chances for failure are high. In order to prevent safety risks, problems, delays or unnecessary repairs, heed these top five reasons to regularly maintain your elevator. First and foremost, you must protect everyone’s safety. Regular maintenance and inspections are the best ways to achieve this. Even the smallest of issues can become big problems very quickly, leading to potentially hazardous conditions. Be sure to schedule regular maintenance service with your elevator company, placing yourself on an automatic schedule so you don’t have to worry about remembering. Another good reason is because the law says you have to perform regular maintenance. Failure to meet the regulatory requirements means if something happens or an issue is caught during inspection that you should have fixed, you could be liable for fines and other punishments. Meeting safety regulations is an important part of your job as property manager or business owner. You must keep not only your elevator but your elevator machine room up to code, which should be self-closing and lockable, with entry available only to authorized people. Neglecting regular maintenance can get expensive as you start to face complex repairs down the line. From parts failures to major damage, it’s far more affordable to engage in preventative and corrective maintenance rather than repair and total replacement. With regular maintenance, you will get a longer lasting life span out of your elevator and all related parts. They’ll be more reliable and give you a better return on your investment than those elevators that are neglected. Always have a proactive approach to elevator maintenance rather than a reactive one. With regular maintenance, you are better able to identify problem areas and address them quickly. Did you know that improperly-working unit doors are a top service call request? Taking preventative measures in this area can guard against this happening in the future. 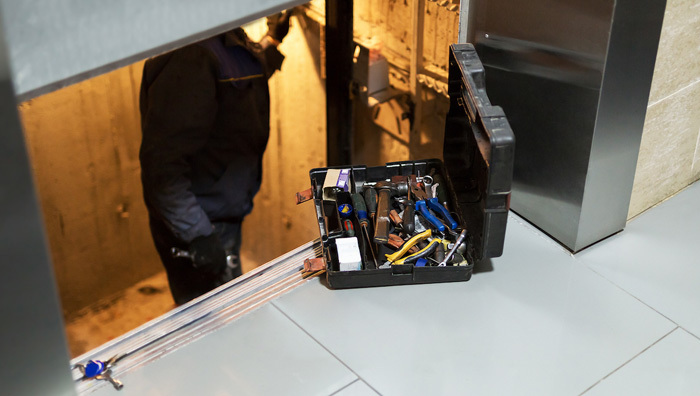 There are several reasons why you should follow a proactive elevator maintenance approach. Safety is first, of course, but there are many other benefits of maintenance that you will enjoy when you take the time to make it happen. Mowrey Elevator has many options for maintenance and service appointments for your convenience. We can help you choose which one is best. Give us a call today.